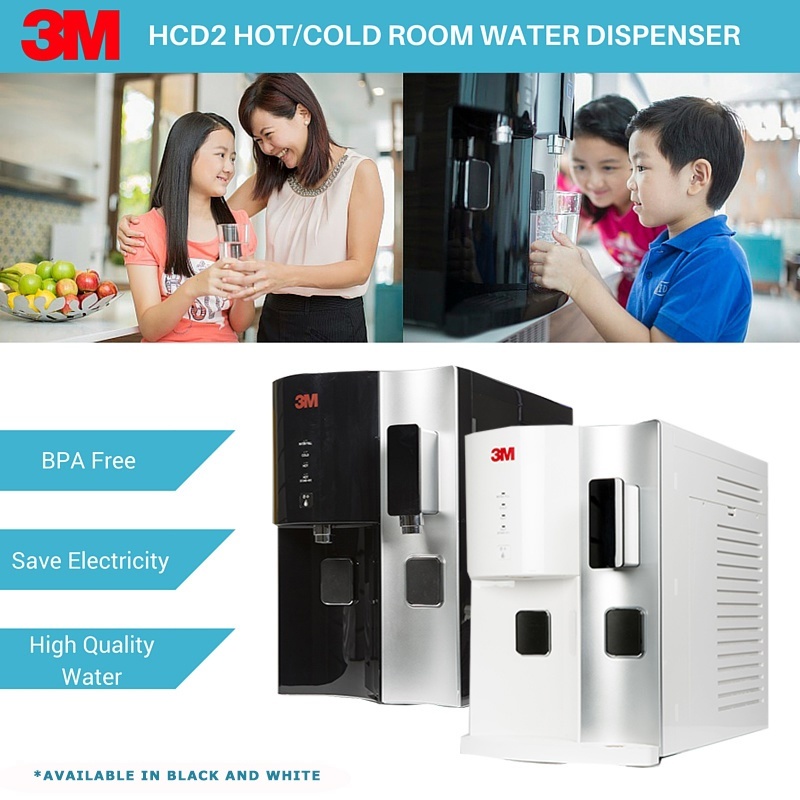 – Double the Protection in Every Drop Intelligently combines carbon and UV filtration technology to remove harmful contaminants and reduce 99.9% of pathogenic bacteria & viruses. 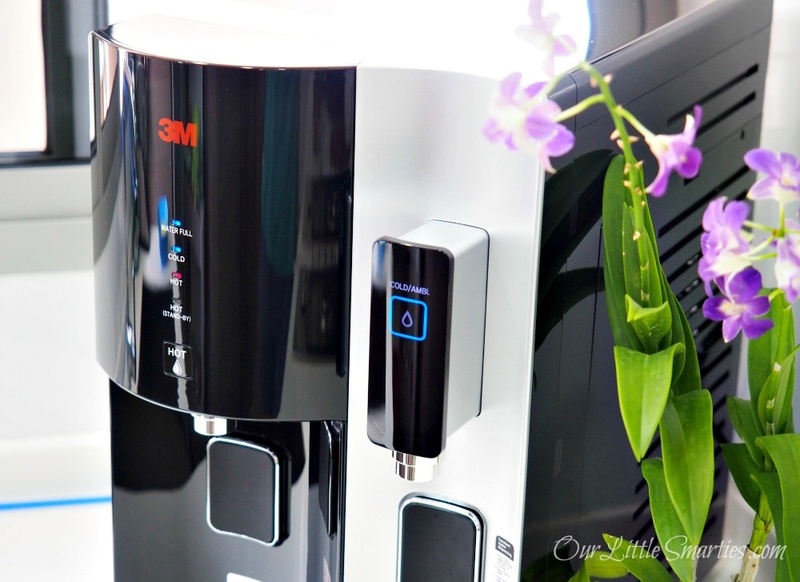 Our water filtration system is tested and certified by NSF International, so you can be assured of consistent high-quality water all year round. 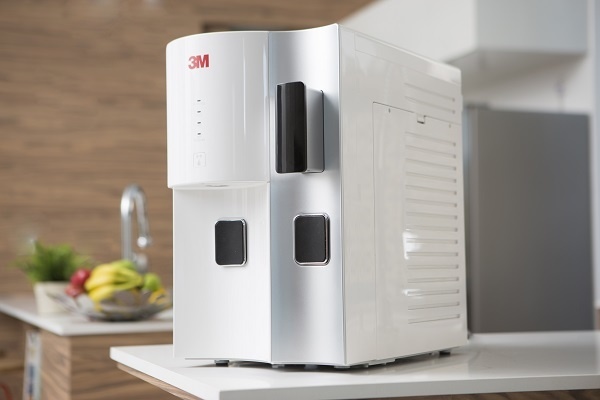 With our IMPACT filtration technology, 1 single 3M filter contains a pre-filter, dual-zone membrane and activated carbon – equivalent to a 4-catridge system. 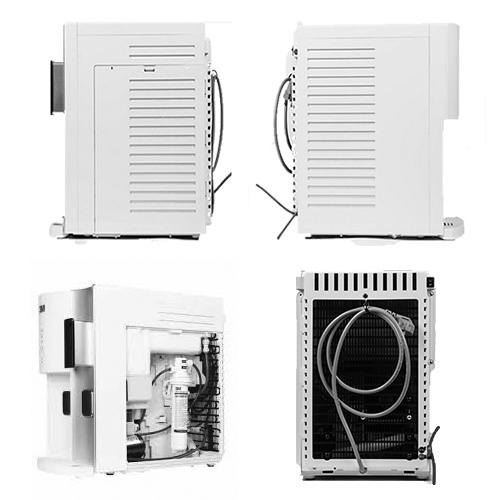 Up to 70% Cost Savings! 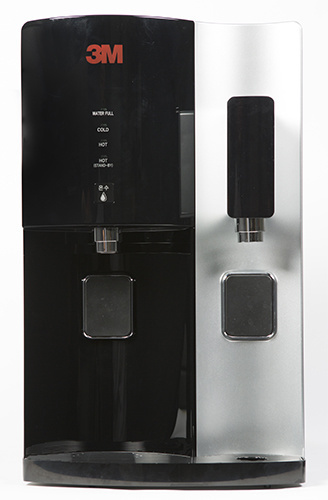 With a direct piped-in system, there is no need to store or lift heavy water bottles anymore. 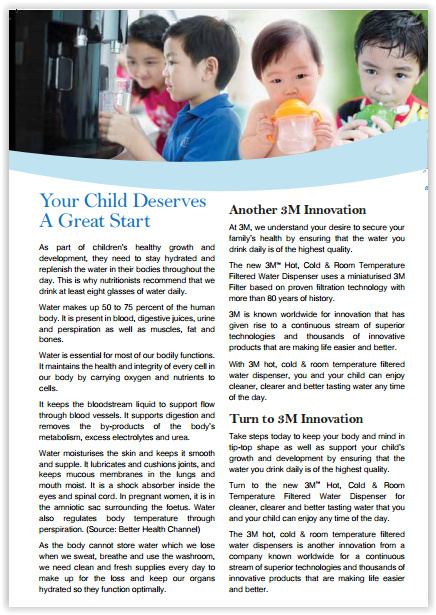 With a capacity of 6,000 gallons, one 3M filter cartridge is equivalent to 1,200 water bottles. Equipped with a light sensor, it switches to power saving mode when the lights are out, reducing up to 12% of energy consumption. 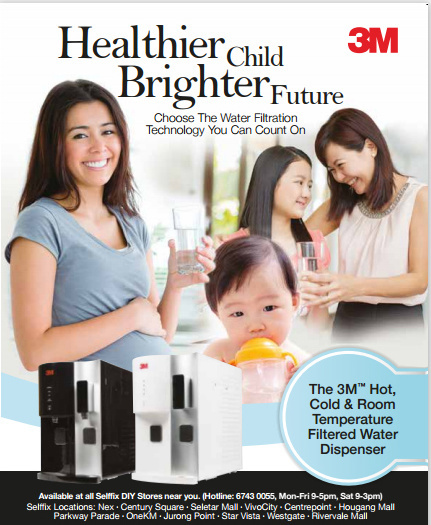 With our Sanitary Quick Change catridge design, filter replacement is just an effortless twist. 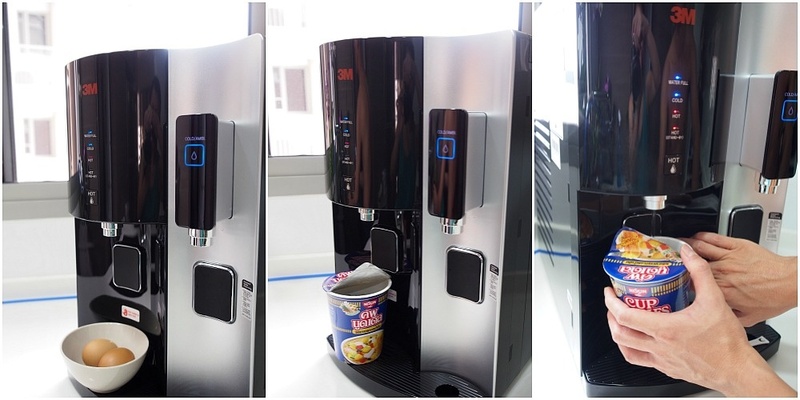 Our water dispenser has received IEC and IECEE certification (Test Report Reference No. 077-2370814-000). The dispenser has obtained Singapore Safety Mark (Certification No. 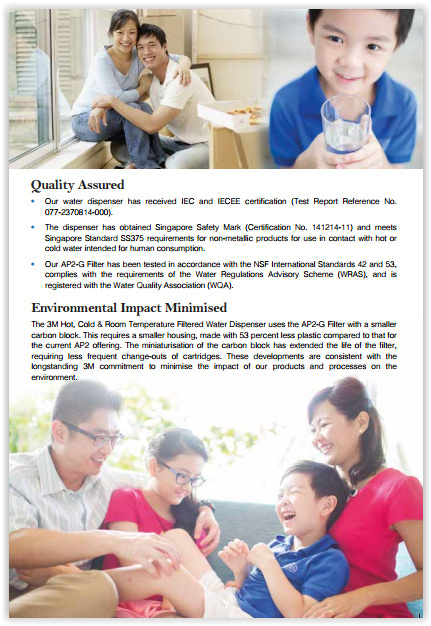 141214-11) and meets Singapore Standard SS375 requirements for non-metallic products for use in contact with hot or cold water intended for human consumption. 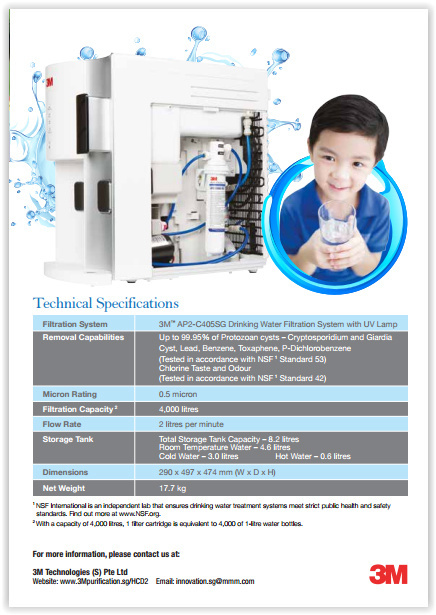 Our AP2-G Filter has been tested in accordance with the NSF International Standards 42 and 53, complies with the requirements of the Water Regulations Advisory Scheme (WRAS), and is registered with the Water Quality Association (WQA). 1. 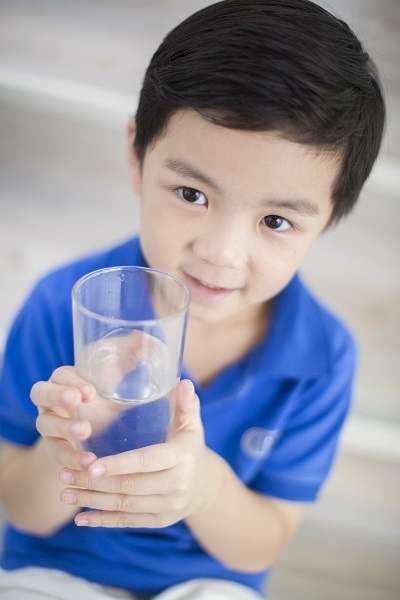 Chlorine itself usually does not present major health concerns; however, it does affect water taste and odor. 2. Chlorine does react with other substances present in water to produce disinfection by-products, such as Trihalomethanes (TTHM). 3. 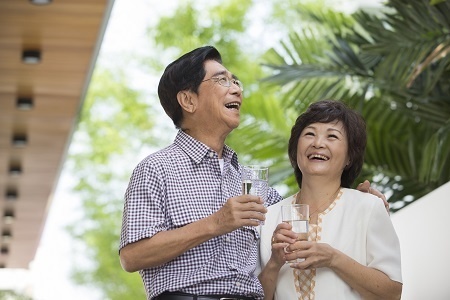 Some people who drink water containing TTHM in excess of the EPA’s standard over many years may experience problems with their liver, kidneys, or central nervous system. They may also have an increased risk of getting cancer. Reduce soap scum and residue build-up on shower fixtures and enclosures, tubs and skins – saving cleaning time by up to 70 percent.